Visit Cannon Beach's Public Coast Brewing Company this summer. Barb Randall enjoyed a quick visit to Cannon Beach this spring and suggests it would be a perfect vacation spot. After that tease of a long, leisurely Memorial Day weekend, I am ready to start planning summer vacations. We usually spend vacations at the family cabin in the Cascade Mountains in southern Oregon or at the family beach house on the Oregon coast. We are lucky to have options and enjoy our time in these spots. We always come back feeling refreshed and rejuvenated. But wouldn't it be fun to shake it up and try something new? Why not visit Cannon Beach? A short 70-mile drive from Portland I had forgotten how charming the town is — and how beautiful. National Geographic magazine named Cannon Beach "one of the world's 100 Most Beautiful Places" in its June 2013 issue, which comes as no surprise. With its miles of scenic sandy beach with dramatic shoreline rock formations like Haystack Rock, it's the perfect setting for a refreshing stroll, or a warm gathering around a beach fire. 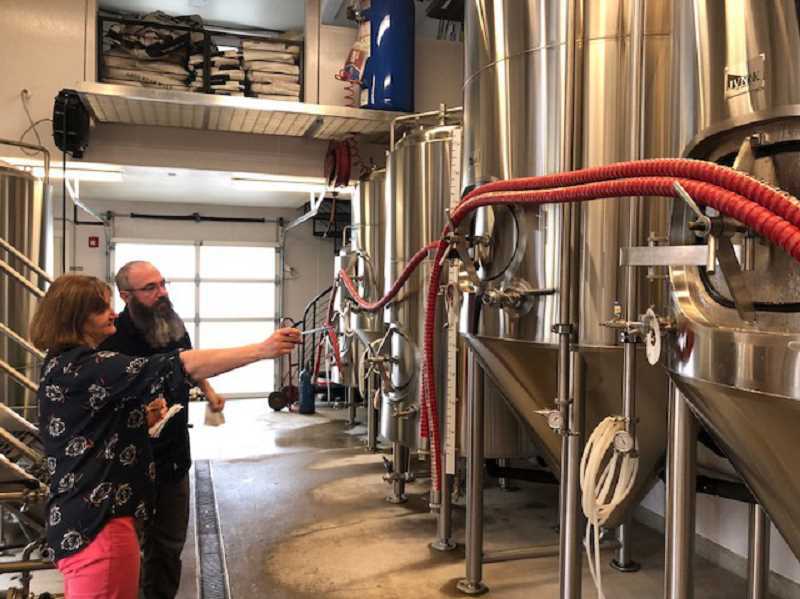 I was invited to tour Public Coast Brewing Company in Cannon Beach with Brewer Will Leroux and owner Ryan Snyder and took my friend Joan Robbins with me on the adventure. We enjoyed meeting Will and Ryan and learning about Public Coast Brewing's beers. 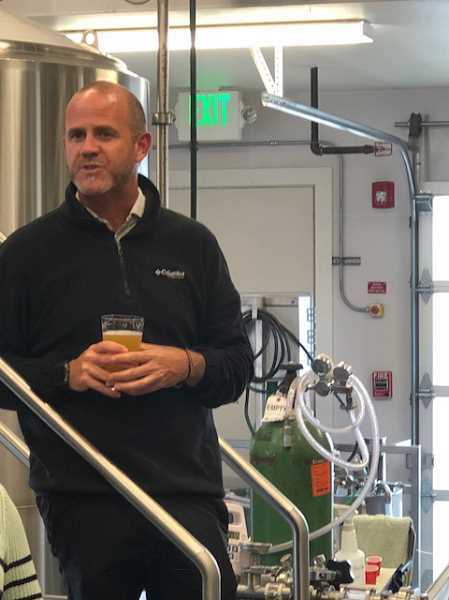 Shortly after our visit we learned that our favorite brew - the '67 Blonde Ale - claimed gold medal at the 2018 World Beer Cup global beer competition held in Nashville, Tennessee. The beer is a delicious, freewheeling, easy drinking beer with a clean, crisp finish. With a 5.0 percent ABV (alcohol by volume) and 19.1 IBU (International Bitterness Units) — which also won gold at the Oregon Beer Awards — this is the brewery's beach philosophy in a glass. "To date, Public Coast has brewed more than 100 batches of beer but our '67 Blonde remains a favorite among our guests," said Ryan. "Not only is it easy to drink, but — to its core — the beer represents the best of the Oregon coast — the year 1967, when the state boldly decided its beaches belong to everyone. 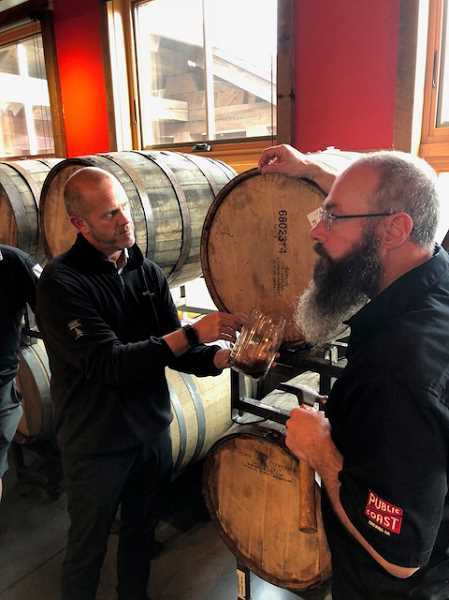 We couldn't be more thrilled for Master Brewer Will Leroux and his dedicated team. Everyone at Public Coast is proud to be recognized among our peers at First Magnitude Brewing Company of Florida and REIJIN Brewing Company of Japan, the silver and bronze winners in the category." Sampling beer provided an ah-ha moment for me, a pretty staunch wine enthusiast. I loved the flavor profiles of the different brews and enjoyed learning about Will's unique beers. He is doing some innovate aging techniques in oak and stainless steel barrels. You have to go try them. The brewery is located at 264 Third St. in Cannon Beach. You can't miss it — it's open Thursday through Monday, noon to 9 p.m. Their food is designed to pair well with beachcombing, kite flying and storm watching, and a pint of their beer. Try their burgers, in-season fresh catch fish and chips and house-made brats with tangy sauces. And see if you agree that their onion rings are the best on the coast. They have live music Friday and Saturday nights and a special Hayday 2018 epic celebration of coastal beer coming up Aug. 25. Visit publiccoastbrewing.com for more information. You might think that would be enough excitement but Ryan had more beach fun in mind for us. We ate dinner at the Wayfarer Restaurant and Lounge, and then stayed at the Surfsand Resort. Ryan's family owns these properties as well as the Stephanie Inn and Dining Room. The foods were delicious and the ambiance cozily beachy. After dinner we were invited to a camp fire on the beach. There was not a breath of wind — a rarity at our family beach house location. The camp fires are held nightly for guests at the Surfsand Resort and on Sundays they host wiener roasts. What kid wouldn't enjoy that? The next morning Joan and I enjoyed a leisurely breakfast at the Wayfarer and then found the candy store. Joan wanted some postcards of the area and we found some — at the auto repair shop — beautiful original photos of the scenic beauty of the area. I can't wait to go back. The close proximity makes it an easy drive for a day trip, but you really do want to savor your stay. You will hear more about the partnerships Ryan has developed with other upscale Oregon brands, like Adelsheim Vineyards, in the future. Just keep your eyes here. Can you understand why I am willing to swap locations for my summer vacation? You can learn more about Cannon Beach online at cannonbeach.org. Learn more about Surfsand Resort online at surfsand.com and about Stephanie Inn online at stephanieinn.com. Today's recipe is for Stephanie Inn Scones. Bake a batch for your picnic on the beach. You can fill them with sweet or savory foods and I am sure they would pair nicely with a '67 Blonde Ale. Bon Appetit! Make eating an adventure. Preheat oven to 350 F. Spray a large baking sheet with vegetable-oil cooking spray. In a large bowl whisk or stir together the flour, sugar, baking powder, and salt thoroughly. With a pastry blender or two knives cut butter into flour mixture until particles are the size of small peas. Stir in the fruit or nuts, and then slowly stir in the cream, just until the mixture binds together. Turn the dough onto a lightly floured surface and gently pat the mixture into a round or square shape. Work the dough quickly and do not over mix. Sprinkle with flour and roll to approximately ½-inch thickness. Cut into rounds, triangles or squares. Place on a greased baking sheet and brush with additional heavy cream. Note: Scones can be cut into any shape you desire. Use a drinking glass to make circles, or cut into squares or wedges with a knife. Dip the edges of the cutter in flour to prevent the dough from sticking. Do not pat the edges of the scone down; instead leave the cuts as sharp as possible to allow the scones to rise in layers. Space 1-inch apart onto prepared baking sheet. Sprinkle with sugar and bake for 15 to 20 minutes, or until lightly golden. Remove from oven and serve warm or at room temperature. Cook's note: When the scones are cool, wrap airtight and hold at room temperature for up to one day or freeze to store longer. To reheat, unwrap scones (thaw wrapped, if frozen) and place on a baking shee4t. Bake in a 350 F oven 8 to 10 minutes or until warm. Recipe courtesy of The Stephanie Inn.